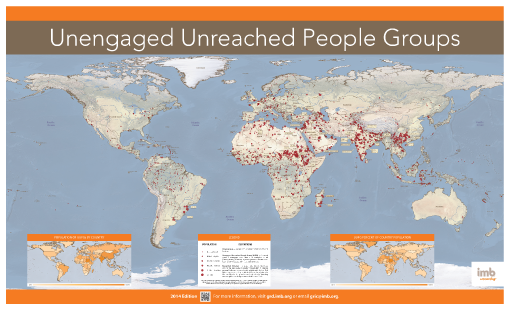 An unreached people group (UPG) is a people group in which less than 2% of the population is Evangelical Christians. An unreached or least-reached people is a people group among which there is no indigenous community of believing Christians with adequate numbers and resources to evangelize this people group. There are approximately 6,400 UPGs worldwide. There are approximately 5,845 UUPGs worldwide.